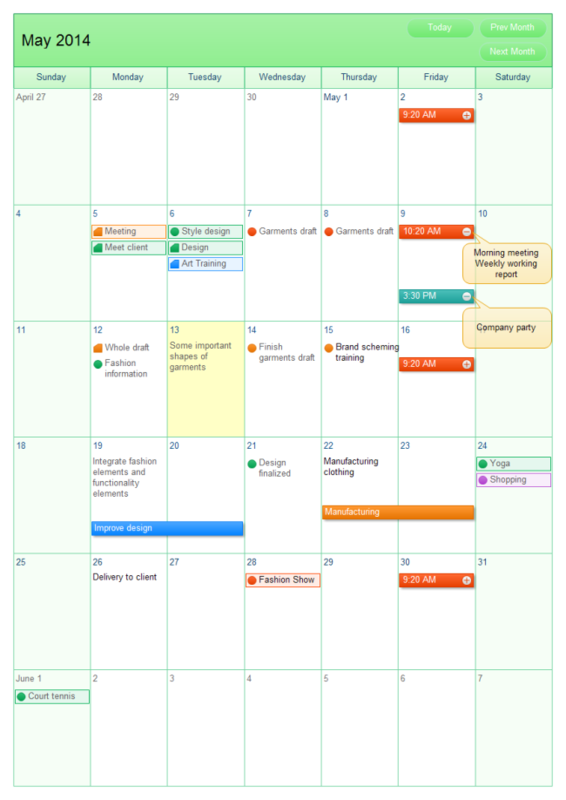 Description: A free customizable month-working calendar template is provided to download and print. Quickly get a head-start when creating your own month-working calendar. By marking different events with different shapes and colors, your monthly schedule can be well managed without worrying about missing key events. Here is a great calendar sharing platform to share your awesome calendar creations and inspire other calendar designers. All shared templates are allowed to edit and modify, and you can free download them for your own use.